Pizza is one of my all time favorite foods – especially as an end of the week Friday night dinner. I am also always on the go! This recipe is super fast to prepare and satisfies all of your pizza cravings! 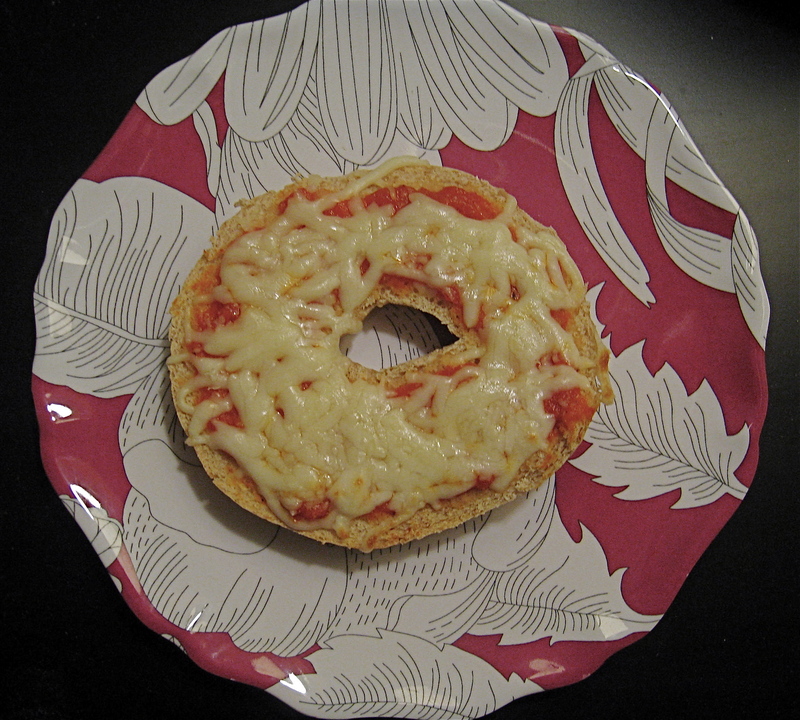 While half of a pizza bagel is perfect for Phase 1, a whole pizza bagel is perfect for Phase 2 of Carb Light Living™ Program! Make it your own! Pepperoni is optional and turkey pepperoni is available. Load up with veggies such as green peppers, onions, mushrooms and or broccoli to make your pizza bagel supreme! All veggies listed are O carbs on Carb Light Living™ Program! Save the other half for later, or freeze it. You can also make up several at a time, and freeze them for when you’re on the go!